• Class act: restaurateur Chris Garns is ready to open his Foster winery to the public. FOR restaurateur, Chris Garns it’s been a challenging 18 months – but well worth the effort. Ably supported by father Harry and partner Angela Irolano, he has turned a bare paddock into a venue that is sure to become one of the most popular in the region. Simple and understated, with classic vinyl records playing on the turntable, the Promontory Restaurant & Winery is a place where wine and food are the main attraction – not to mention a view of Wilsons Promontory that seems almost too good to be true. It’s the kind of grand view usually only offered to eagles. “Angela and I decided to do this and it’s really come up a treat. We’re very excited. The reservations are already starting to come in,” Chris said. 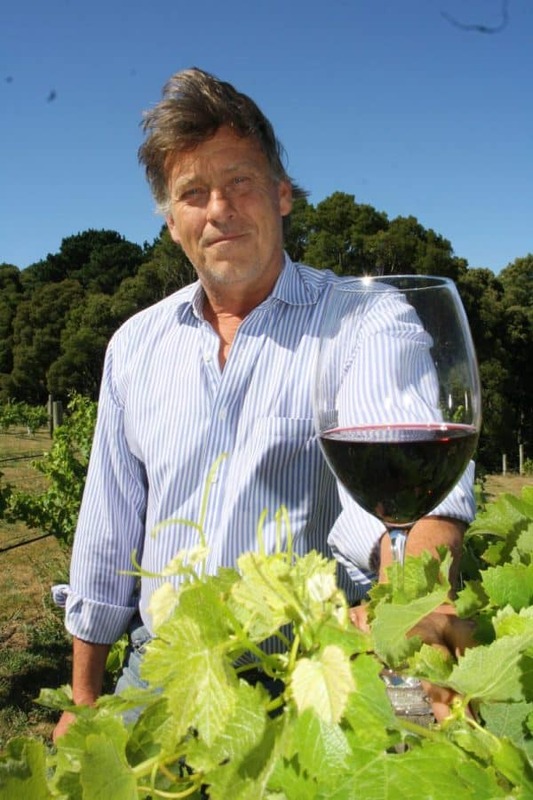 Chris said the vineyard was not yet commercially viable, though a good selection of local wines were available nonetheless – courtesy of the renowned Bellvale Wines in Mirboo North. “The winemaker there, John Ellis, makes a beautiful wine. We’ll be cellar-dooring his wine for the next few years. The wines are delicious and the pinot is sensational,” he said. The Promontory Restaurant & Winery, which opens this Friday (February 8), will have lunch available from Wednesday to Sunday and dinner from Thursday to Sunday, as well as weekend breakfasts. Highly regarded local chef Chantelle Peters will be the driving force in the kitchen. Chris has been in the restaurant game for the past 30 years, born into a foodie family that owned the Tivoli theatre and restaurant in Brisbane, among a host of other iconic hot spots. “The Tivoli did really well as a cabaret theatre venue. I came back from Melbourne and had friends in music. We had Powderfinger, Regurgitator and other Aussie bands. It was a winner, since Festival Hall had just closed down,” he said. Pointing out the window toward those breathtaking views, Chris said, “That’s the hook.” The only question is, will those diners and wine connoisseurs who arrive there first ever vacate their seats?